The Mockingbird Men were founded in 2014, as five musicians of the Folk’n’Roots Jamsession at Club Traumtänzer in Dresden shared the common goal of elaborating those wonderful pieces of music people call Irish Folk. Playing a variety somewhere between ballads and you-can’t-help-but-dance songs, they always attempt to transfer the distinctly true and rural spirit of the Celtic sounds and songs into their versions, creating unique pieces of music one simply can’t help listening to. 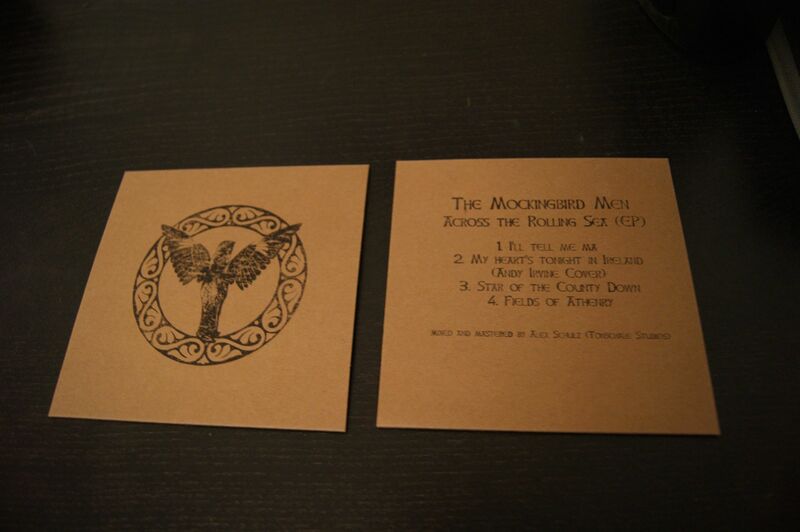 In October 2014, the band already recorded their first EP called “Across The Rolling Sea” with a literally very personal stamp (as each single cover was self-stamped) and with over 300 sold copies by now. In 2015, guitar player and singer Olaf left the band due to his working schedule. This, however, didn’t discourage the other four musicians, and after a phase of arduous effort to improve themselves and make their songs thrive more, they had thus their first highlight gig at the Folklorum in September 2015, being a boost in both motivation and popularity. Furthermore, a Folk’N’Fusion Xmas – Tour took place in December together with the befriended band Zirp. 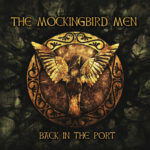 In 2016, there’ll be many occasions to see The Mockingbird Men live. Additionally, the band is about to record their first full-fledged studio album this year.